This entry was posted in Family History, Geneacruising, Unlock the Past and tagged 4th Unlock the Past Cruise, Family History by cassmob. Bookmark the permalink. You left out one important speaker, Ms Cass… can’t wait to hear how it went. What a great experience this cruise is proving to be… hope you can relax a little now. Yes I felt much more chilled out after that was done. Tell you all about it at Blarney lunch or email after the ship. 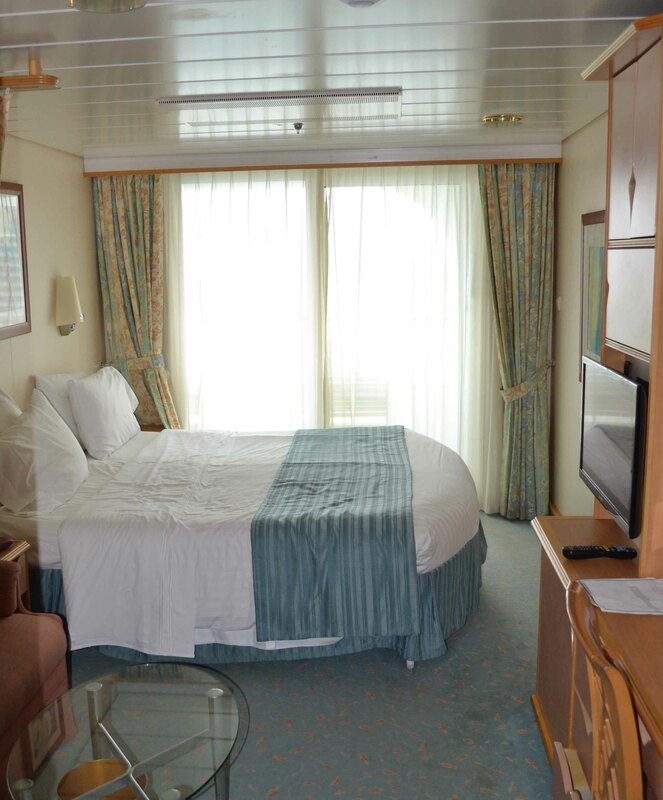 Your cabin looks just the same but much tidier than mine. Cris, Pauleen’s talk was AMAZING – meaty, full of suggestions and professionally presented with touches of our Pauleen’s dry humour. Thanks Pauline. It’s great to hear all the good oil from the speakers. A great summary. Thank you for the newspaper links. Although the Scottish one didn’t work for me. Keep up the great work. I look forward to reading more. Thanks for sharing your thoughts. I can imagine how much you enjoyed Kerry Farmer’s talk. I went to her ‘Immigration’ seminar in Brisbane late last year, and it was brilliant. Kerry’s talks have been great Judy -there’s just so much content, professionally presented. The Scotsman Archive is at http://archive.scotsman.com – coverage from 1816-1950. Hope that helps! Thanks Chris. I’m sure that people will be bound to find some good stuff in the Scotsman…I certainly have!! Sounds amazing. The room looks lovely. I had a really great time Kristin, and yes, the room was comfortable.